College basketball season is right around the corner. Many programs hosted their midnight madness events to usher in the new season and build hype for the fans. These events serve as a way for the public and the media to get a glance at the team before the season starts. 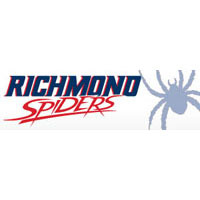 For the Richmond Spiders, they hope to improve significantly after last year’s disappointing season. Overall, the team went 12-20 under Chris Mooney. Certainly a losing record is not something that fans, players, or the administration wants to see, especially for a program that has seen success in the past along with a number of great players. However, they did have a young squad last year with underclassmen filling the majority of the minutes and the significant roles. Recently, the Spiders announced their 2018-2019 men’s basketball schedule. They have a 31-game regular season slate which does include 17 home games, which the school noted is just one shy of the program’s record. The season starts with a home game against Longwood on Nov. 9. Overall they have nine home games against Atlantic 10 foes. Also on their schedule are a few tough out-of-conference opponents. They face Loyola-Chicago on Nov. 19, one of the darlings of The Dance last season in a tip-off tournament. There’s also a chance they will play Boston College, an ACC opponent, in the same tournament. Later than month, on Nov. 28, they play at Georgetown, a team that has been trying to rebuild their program in recent years but will still be stiff competition. On Dec. 1 is one of the biggest home games. Wake Forest, another ACC foe, comes to town to take on the Spiders. While Wake Forest has also had their struggles in recent years, Danny Manning always has his squad prepped for the competition and ready to play. Outside of the out-of-conference schedule, there is always the tough Atlantic 10 schedule. Richmond does have to face perennially quality teams like Davidson, VCU, and Saint Louis which certainly adds to the season’s challenge. This season could be an interesting one for the Spiders. Coach Mooney has a chance to become the winningest coach in Richmond’s history in addition to bouncing back from a disappointing season. The Spiders do return quite a bit of talent including sophomore Grant Golden. He was named to the third-team All Conference and earned All-Rookie honors. He set the school’s record for total points by a freshman and hopes to build on that in his second season at Richmond. Junior Nick Sherod also returns. He led the team with the highest average points at 17.6 per game. The start of a season is always an exciting time for players and fans alike. The clean slate, fresh start, and the hopes of a great season make this time of the year special. With some luck, the Spiders could be in for a good season and compete for an A10 title and a chance of an NCAA Tournament berth.